Before, September the release month for Iphone 8, a lot of renders leaked showing various looks to expect form the most expected device. 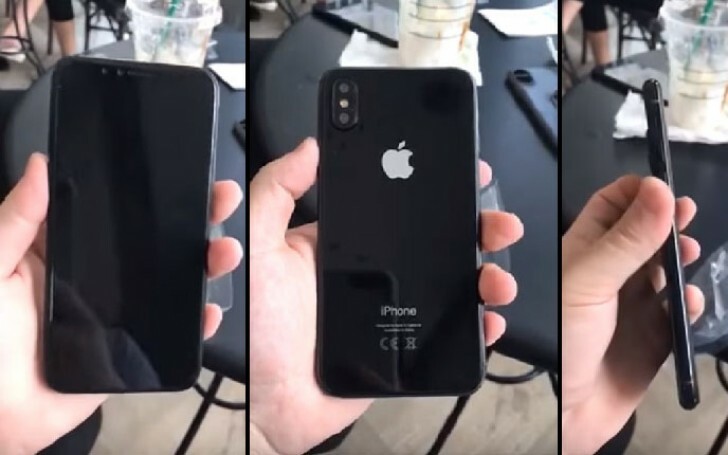 This time you’ll see a live video of a black iphone 8 device that looks like the flagship which Apple is going to launch in September.Though It might be just a dummy, but this one seem to be the closest to what to expect from the IOS giant. Mounting that Apple would have at least one phone, which will look like this given the increasing number of leaked prototypes. The clip is just 5 seconds and a shady one still let you see the main body specs. There is a dual camera on the back vertically placed. while on the front we see another dual setup. One of the cameras above the display will probably be used for the so iris scanner. Looking at the sides, we see the power button on the right side while the volume button and the mute button are on the left side. Another leak which appeared through Slashleaks suggested the fingerprint scanner will be on the back, below the Apple logo, but we don’t see one here. The situation is getting more confusing and there is a good chance Apple could have at least a few design circulating around. Still, fingers crossed, Apple will surprise us with an under-screen/under-glass fingerprint scanning tech.